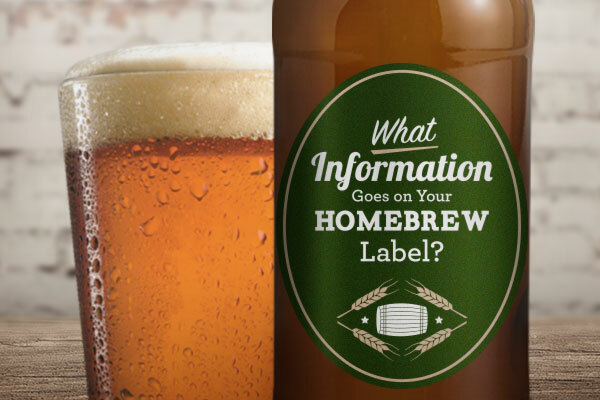 What Information Goes on Your Homebrew Label? Hey friend, you've certainly come to the right place to learn about creating custom labels for your homebrew, moonshine, porch crawler or closet wine. With StickerYou, it's easy to create high quality durable labels that will last against abrasion, condensation, and whatever rowdy activities and shenanigans you get up to during the consumption process. StickerYou's labels are waterproof, UV fade resistant, heat resistant, and will come off clean allowing you to re-use the bottles. You can upload your own designs or personalize one of our templates, and create awesome labels for bottles and even kegs for your liquid masterpiece. Isn't that swell? The labeling design possibilities are nearly endless. To get you started, we have some cursory information which you may want to include in your new custom labels. What are you calling your beer? If its seasonal, or being created for a specific event, such as a wedding or party, then you may want to pick a name that ties in with that theme. Regardless, naming your beer will help you brand it as your own divine creation and will help distinguish between other flavors. 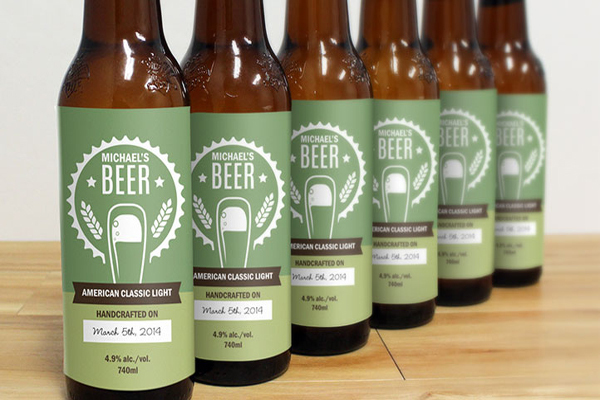 The name of your beer should be prominently displayed and easily legible on the label. 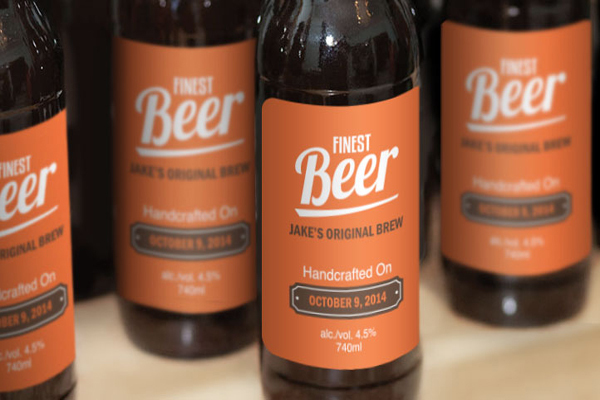 If you are brewing different types of beer, then you should probably include the type on the bottle labels. You may be able to tell the difference just by looking, but others enjoying your beverage may not. Get extra detailed and include some flavor detail on your labels. You can go the short and sweet route and just list "crisp, hop, malt, roast, smoke, fruit and spice or tart" or you can get more descriptive and even suggest other flavor pairings. Perfect for the brewers who are also foodies. This is important if you are a frequent brewer or test different recipes. The batch information or bottling date will help you track the results of each batch if you record your processes when brewing. Bottling date will also help you avoid expiration. If your brew is being given as a gift or being distributed at an event, then including the alcohol content is a good idea. It will inform drinkers and help absolve you from their impaired judgement. Drinker beware. It's also helpful for tracking different batches with differing alcohol content. Let everyone know whom to thank for that sweet sweet heaven water in a pretty bottle. Whether you're a craft beer homebrewing master or just a rookie who wants to learn, we recommend checking out Mr.Beer. They are the biggest and best supplier of DIY beer and can provide kits with all the equipment and ingredients you need to get started. They also have a large variety of flavours and types of beer, cider and more to choose from.